The Trequattrini family serves up unfettered Italian fare on, of course, red-and-white tablecloths. As a general rule, anyone who grew up around some of the world's best truffles and pork can cook for us any day of the week. And that's certainly the case with the Trequattrini family, who runs this restaurant and gives it its name, interpreted literally into English as "three coins". Walk in and you're immediately transported to Umbria, where the family of five originated. 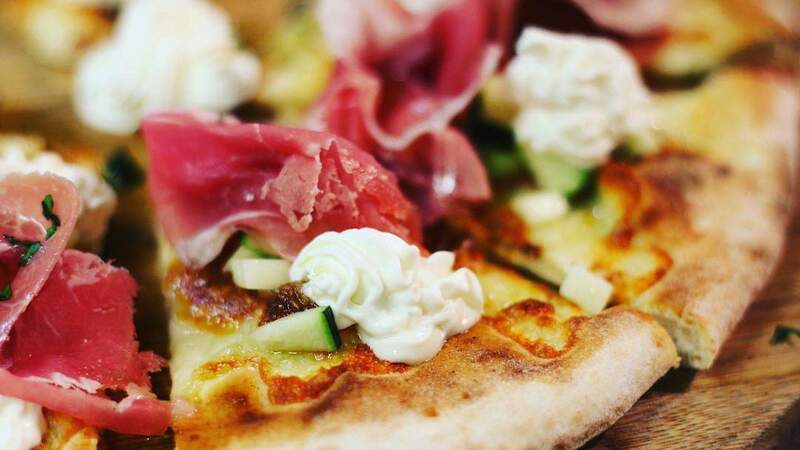 They moved to Perth with the dream of creating a trattoria, offering the real and unfettered taste of regional Italian cuisine. And, it's safe to say, they've achieved that dream. Threecoins is nothing fancy, just pure neighbourhood deliciousness. Light as a feather and simple in its toppings, this woodfired Italian pizza is A-grade. Be sure to try the bianche (mozzarella base) — the perfect canvas for toppings like truffle oil and porcini mushrooms, or gorgonzola and red onion — and the margherita tastes like it's come straight from Nonna's kitchen. With red-and-white gingham tablecloths, blackboards with chalked-up specials and effusive Italian staff — it's a cosy and welcoming place where you can easily while away an evening. And given it's BYO, you probably will. Threecoins also has a take-away menu for those who prefer eating pies in the privacy of their own homes.